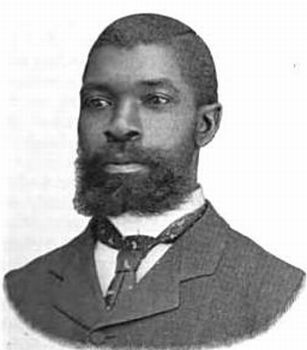 Thomas Nelson Baker, Sr. was the first African American to receive a Ph.D. in philosophy. He was a writer, orator, ethicist, and advocate for a positive black cultural identity. Baker was born a slave on August 11, 1860 to Thomas Chadwick and Edith Nottingham Baker on Robert Nottingham’s plantation in Northampton County, Virginia. Baker’s mother taught him to read the Bible and he attended public school from 1868 to 1872. He left school at the age of 12 to help support his family. Even while working as a farmhand, he continued his studies privately and in 1881 at the age of 21, he enrolled in the Hampton Institute High School program. Baker graduated in 1885 as valedictorian of his class. Determined to prepare for college entrance, in May of 1886 Baker enrolled in the Mount Hermon School in Massachusetts, where despite being one of only two black students in attendance he acted as substitute principal in the summer months. He graduated from Mount Hermon in June 1889. Baker entered Boston University’s Liberal Arts School in 1890 and graduated with his B.A. in 1893. From there he enrolled in the Yale Divinity School where he earned his Bachelor of Divinity degree in 1896. The following year he was ordained as minister at Dixwell Avenue Congregational Church in New Haven and remained there until 1901 while simultaneously studying philosophy at Yale Graduate School. On September 18, 1901 Baker married Elizabeth Baytop (1867-38), and they had four children: Edith, Harry, Ruth, and Thomas Baker, Jr. That autumn he also became minister of the Second Congressional Church in Pittsfield, Massachusetts. Baker successfully defended his dissertation, The Ethical Significance of the Connection Between Mind and Body, at Yale in 1903 (when he was 43) and became the African American to receive a Ph.D. in Philosophy in the U.S.
Baker wrote extensively on race issues through the remainder of his life. In 1904 he published his most significant book, Three Great Needs of the Southland, where he argued that both black people and northern whites needed to sympathize with the south due to its people spiritually and financially degrading themselves with slavery. He also argued that the South must foster a spirit of fair play if free labor is to bring prosperity and moral uplift to both black and white southerners. In 1906 he wrote a series of essays challenging Jim Crow laws and outlining a need for black positive self-definition rather than allowing whites to define blacks. His ideas about black social, cultural, and aesthetic self-respect are seen by some scholars as a precursor to the Harlem Renaissance and the Black Arts Movement of the 1960s. In July of 1907 Baker wrote a controversial article addressing miscegenation (racial intermarriage). He argued against the right of intermarriage but explained why he believed people wished to intermarry. In 1926 Baker, at 66, the oldest clergyman in Pittsfield, Massachusetts also became the first black pastor to deliver the traditional annual Memorial Day address at the mound of unknown dead in the city’s cemetery. In 1938, at age 78, he mourned the loss of his wife and two years later in 1940, after resigning as Minister Emeritus of Second Congregational, he died in Pittsfield at the age of 80. George Yancy, “Thomas Nelson Baker: Toward an Understanding of a Pioneer Black Philosopher,” Newsletter on Philosophy and the Black Experience American Philosophical Association 95:2 (Spring 1996); Hampton Normal and Agricultural Institute (Va.), The Southern Workman (Hampton, Virginia: Hampton Institute Press, 1938); Alexander McConnell, William Revell Moody, Arthur Percy Fitt, Record of Christian Work Vol. 23 (East Northfield, Massachusetts: Record of Christian Work Co., 1904).